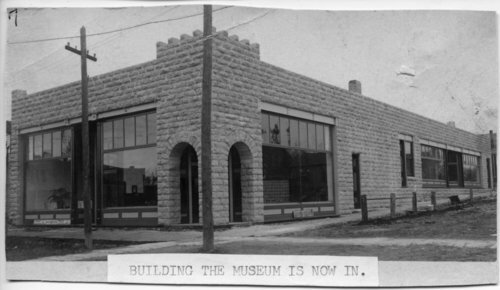 Two photographs of the Meyer building in Alma, Kansas. It was constructed for Otto Meyer in 1906. The left side of the building was occupied by Meyer's brother, Dr. A. A. Meyer, while the right side was leased to the U. S. Post Office. The building currently houses the Wabaunsee County Historical Society.